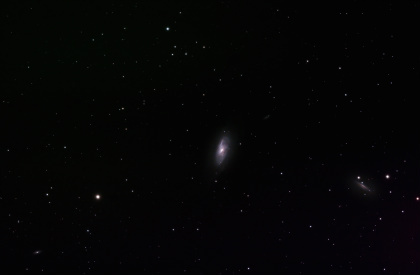 M106 color picture taken with WO FLT-110 telescope mounted with a WO fieldflatner that make perfect round stars also at the edge of the picture. A Canon 20Da camera used mounted with a astronomik CLS CCD and EOS clip series light polution filter. Exposure times are 8*5min. plus 2*10min., ISO800.